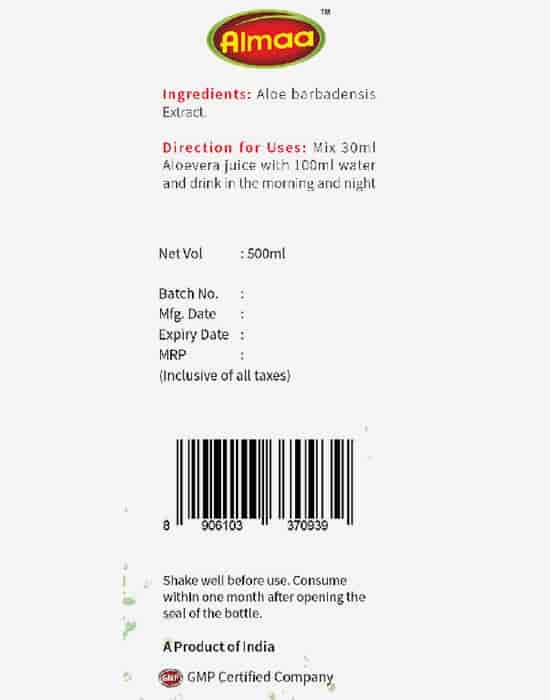 Well grown fleshy extract of aloe Vera is washed repeatedly and then make it into juice form It reduces excess body heat, purifies blood, expels toxins and regulates menstrual cycle. 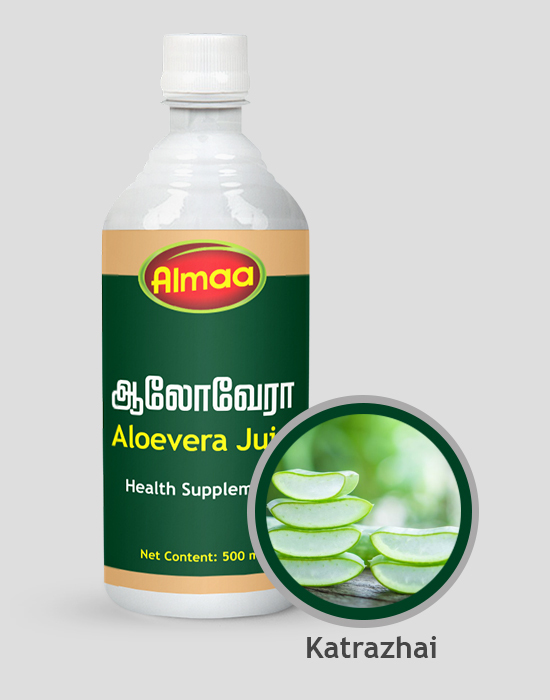 Aloevera is universal health drink highly recommended for burning micturition, difficulty in urination, bleeding piles and white discharge. It reduces excess body heat, purifies blood, expels toxins and regulates menstrual cycle.